In those days, while Apollos was at Corinth, Paul passed through the upper country and came to Ephesus. There he found some disciples. And he said to them, “Did you receive the Holy Spirit when you believed?” And they said, “No, we have never even heard that there is a Holy Spirit.” And he said, “Into what then were you baptized?” They said, “Into John’s baptism.” And Paul said, “John baptized with the baptism of repentance, telling the people to believe in the one who was to come after him, that is, Jesus.” On hearing this, they were baptized in the name of the Lord Jesus. And when Paul had laid his hands upon them, the Holy Spirit came on them; and they spoke with tongues and prophesied. Why would St. Anthony never speak of this Spirit-borne quality among men? Why today these miraculous gifts seem less evident in the Church? A few decades prior to writing his famous epic, Paradise Lost, John Milton composed this thirty-one-stanza ode—his first major work in English. Written in 1629 when he was just 21, the poem examines the cosmic significance of the incarnation, celebrating Christ’s triumph over the gods of paganism from the manger. William Blake, “The Descent of Peace” (Thomas set), 1809. Watercolor on paper, 19.4 x 25.5 cm. Whitworth Art Gallery, Manchester, England. Description: Peace breaks through the heavenly spheres, dispersing the clouds and waving her myrtle wand, while Nature (below) covers her nakedness with a snowy veil as she pays reverence to her Lord. With unexpressive3 notes, to Heaven’s newborn Heir. William Blake, “The Annunciation to the Shepherds” (Thomas set), 1809. Watercolor on paper, 19.3 x 25.5 cm. Whitworth Art Gallery, Manchester, England. William Blake, “The Old Dragon” (Thomas set), 1809. Watercolor on paper, 19.3 x 25.3 cm. Whitworth Art Gallery, Manchester, England. William Blake, “The Overthrow of Apollo and the Pagan Gods” (Thomas set), 1809. Watercolor on paper, 19.3 x 25 cm. Whitworth Art Gallery, Manchester, England. Description: Pagan worshipers burn an offering to Apollo as his spirit flees its statue in fear. (The statue depicts Apollo’s defeat of the giant serpent Python, who had tormented his mother during her pregnancy.) To the right, a disheveled Nymph hides in a thicket to mourn, while above her, a train of refugee gods and goddesses fills the sky. William Blake, “The Flight of Moloch” (Thomas set), 1809. Watercolor on paper, 19.7 x 25.7 cm. Whitworth Art Gallery, Manchester, England. Description: Worshipers of Moloch clang together cymbals and blow on trumpets as part of their infant sacrifice ritual. As they do, Moloch’s winged spirit departs from the molded image. The advent of his enemy, Jesus, has scared him away. The Black Hours is a product of unequalled luxury. All 121 vellum folios are stained in black. To make the writing stand out against the dark background, only white lead and opaque paints were used for the miniatures, and gold and silver ink for the script. Only three of these black parchment manuscripts survive to this day. WE BELIEVE THAT THE SCRIPTURES constitute a coherent whole. They are at once divinely inspired and humanly expressed. They bear authoritative witness to God’s revelation of Himself – in creation, in the Incarnation of the Word, and the whole history of salvation. And as such they express the word of God in human language. We know, receive, and interpret Scripture through the Church and in the Church. Our approach to the Bible is one of obedience. 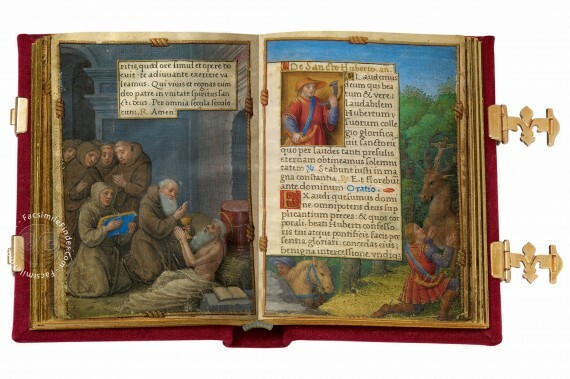 In the words of Roger Wieck, curator of manuscripts at the Morgan Library: “An artistic triumph…” The personalized prayer book of the French queen Claude de France enchants us especially by its delicate paintings in a charmingly small format of 69 x 49 mm, and even more so by the unusual wealth of illustration it contains. 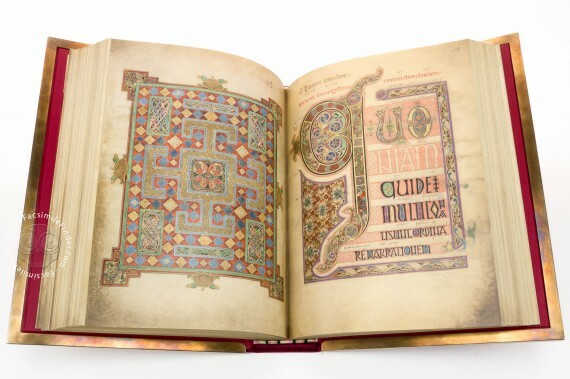 The Lindisfarne Gospels doesn’t need many words of introduction: it’s one of the finest works in the unique style of Hiberno-Saxon or Insular art, combining Mediterranean, Anglo-Saxon and Celtic elements. All miniatures are in demi-grisaille, a painting technique using mainly shades of grey and coloring for the figures’ face and hands. The surprising amount of details that can be fit in such small space is outstanding. We are better at talking than listening. We hear the sound of our own voice, but often we don’t pause to hear the voice of the other person who is speaking to us. So the first requirement, as we read Scripture, is to stop talking and to listen – to listen with obedience. When we enter an Orthodox Church, decorated in the traditional manner, and look up toward the sanctuary at the east end, we see there, in the apse, an icon of the Virgin Mary with her hands raised to heaven – the ancient Scriptural manner of praying that many still use today. This icon symbolizes the attitude we are to assume as we read Scripture – an attitude of receptivity, of hands invisibly raised to heaven. Reading the Bible, we are to model ourselves on the Blessed Virgin Mary, for she is supremely the one who listens. At the Annunciation she listens with obedience and responds to the angel, “Be it unto me according to thy word” (Luke 1:38). She could not have borne the Word of God in her body if she had not first, listened to the Word of God in her heart. After the shepherds have adored the newborn Christ, it is said of her: “Mary kept all these things and pondered them in her heart” (Luke 2:19). Again, when Mary finds Jesus in the temple, we are told: “His mother kept all these things in her heart” (Luke 2:5l). The same need for listening is emphasized in the last words attributed to the Mother of God in Scripture, at the wedding feast in Cana of Galilee: “Whatsoever He saith unto you, do it” (John 2:5), she says to the servants – and to all of us. 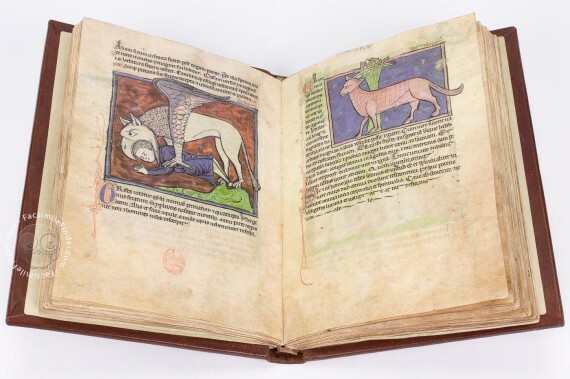 Out of all the Bestiaries, the Westminster is considered to be one of the most beautiful and richly decorated bestiaries in the world, and is full of all kinds of incredible descriptions, legends and myths. It is the Church that tells us what is Scripture. A book is not part of Scripture because of any particular theory about its dating and authorship. Even if it could be proved, for example, that the Fourth Gospel was not actually written by John the beloved disciple of Christ, this would not alter the fact that we Orthodox accept the Fourth Gospel as Holy Scripture. Why? Because the Gospel of John is accepted by the Church and in the Church. It is the Church that tells us what is Scripture, and it is also the Church that tells us how Scripture is to be understood. 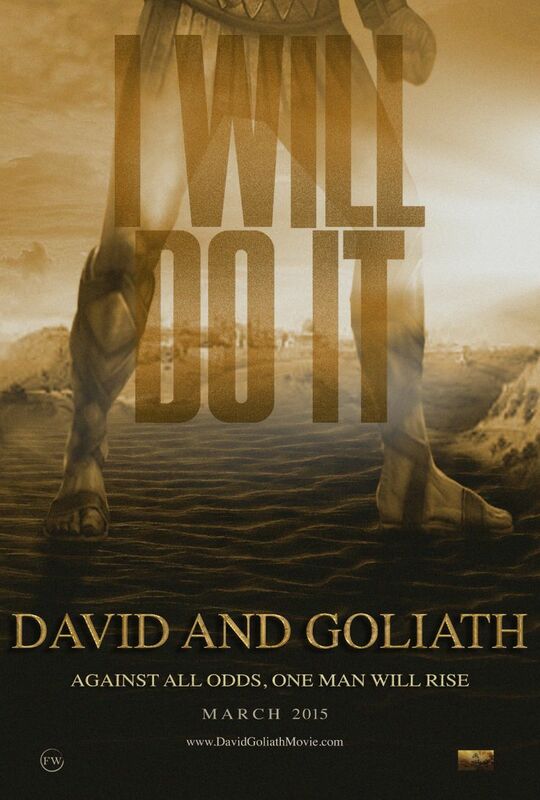 Coming upon the Ethiopian as he read the Old Testament in his chariot, Philip the Apostle asked him, “Understandest thou what thou readest?” And the Ethiopian answered, “How can I, unless some man should guide me?” (Acts 8:30-31). We are all in the position of the Ethiopian. The words of Scripture are not always self-explanatory. God speaks directly to the heart of each one of us as we read our Bible. Scripture reading is a personal dialogue between each one of us and Christ – but we also need guidance. And our guide is the Church. We make full use of our own personal understanding, assisted by the Spirit, we make full use of the findings of modern Biblical research, but always we submit private opinion – whether our own or that of the scholars – to the total experience of the Church throughout the ages. Promises the splendid rewards of martyrdom to be gained. These texts in the Old Testament, then, as their selection for the feast of the Virgin Mary indicates, are all to be understood as prophecies concerning the Incarnation from the Virgin. Mary is Jacob’s ladder, supplying the flesh that God incarnate takes upon entering our human world. Mary is the closed gate who alone among women bore a child while still remaining inviolate. Mary provides the house which Christ the Wisdom of God (1 Cor. 1:24) takes as his dwelling. Exploring in this manner the choice of lessons for the various feasts, we discover layers of Biblical interpretation that are by no means obvious on a first reading. 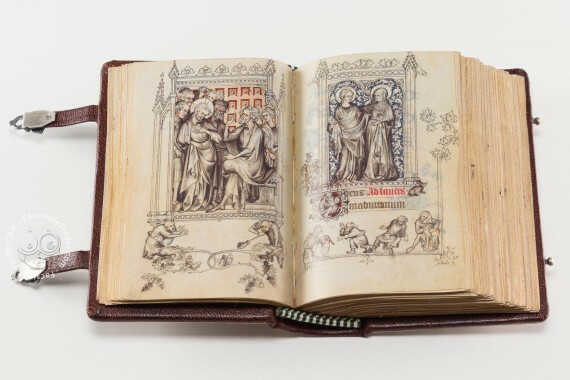 A monumental witness to the splendor of Flemish art produced during the Renaissance. Perhaps an outstanding features of this manuscript is the choice of motifs, which alternate between religious and lay themes. Take as another example Vespers on Holy Saturday, the first part of the ancient Paschal Vigil. Here we have no less than fifteen Old Testament lessons. This sequence of lessons sets before us the whole scheme of sacred history, while at the same time underlining the deeper meaning of Christ’s Resurrection. First among the lessons is Genesis 1:1-13, the account of Creation: Christ’s Resurrection is a new Creation. 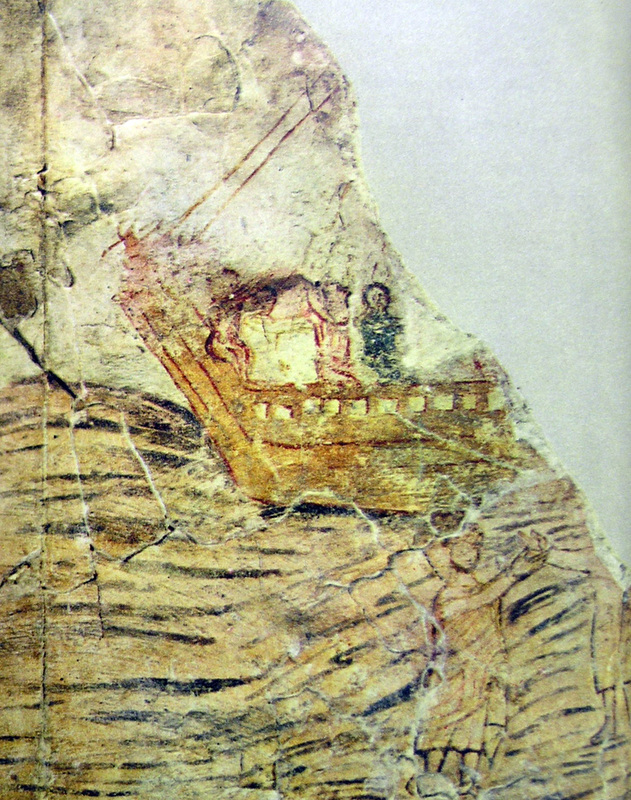 The fourth lesson is the book of Jonah in its entirety, with the prophet’s three days in the belly of the whale foreshadowing Christ’s Resurrection after three days in the tomb (cf. Matthew 12:40). 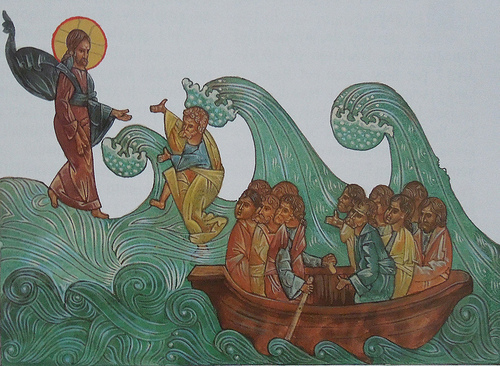 The sixth lesson recounts the crossing of the Red Sea by the Israelites (Exodus 13:20-15:19), which anticipates the new Passover of Pascha whereby Christ passes over from death to life (cf. 1 Corinthians 5:7; 10:1-4). The final lesson is the story of the three Holy Children in the fiery furnace (Daniel 3), once more a “type” or prophecy of Christ’s rising from the tomb. Such is the effect of reading Scripture ecclesially, in the Church and with the Church. Studying the Old Testament in this liturgical way and using the Fathers to help us, everywhere we uncover signposts pointing forward to the mystery of Christ and of His Mother. 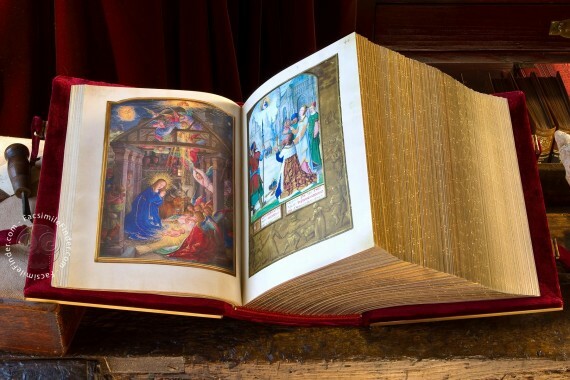 Reading the Old Testament in the light of the New, and the New in the light of the, Old – as the Church’s calendar encourages us to do – we discover the unity of Holy Scripture. One of the best ways of identifying correspondences between the Old and New Testaments is to use a good Biblical concordance. This can often tell us more about the meaning of Scripture than any commentary. In Bible study groups within our parishes, it is helpful to give one person the special task of noting whenever a particular passage in the Old or New Testament is used for a festival or a saint’s day. We can then discuss together the reasons why each specific passage has been so chosen. Others in the group can be assigned to do homework among the Fathers, using for example the Biblical homilies of Saint John Chrysostom (which have been translated into English). Christians need to acquire a patristic mind. 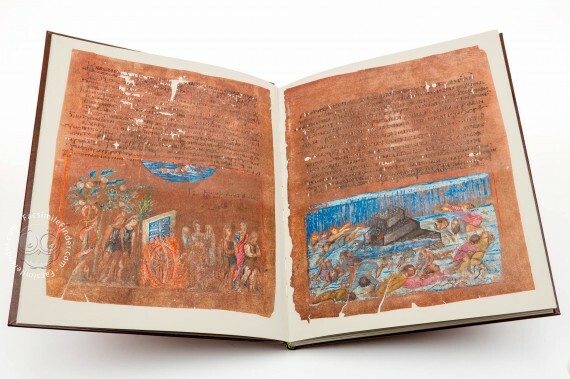 In this manuscript history is depicted in great detail, without any text and recalls the Creation of the world, the Righteous Wars and the deeds of the most important characters of the Old Testament. 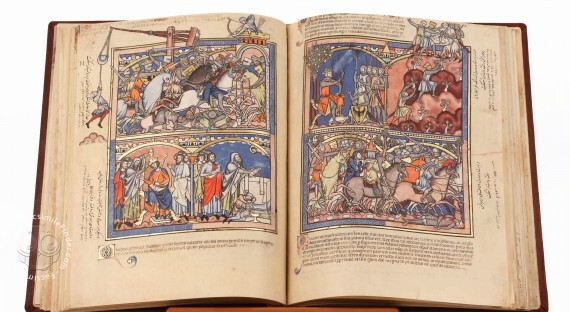 The Crusader’s Bible fascinates through its rich and refined gold embellishment which comes to enhance the luminosity of the colors. THE THIRD ELEMENT in our reading of Scripture is that it should be Christ-centered. The Scriptures constitute a coherent whole because they all are Christ-centered. Salvation through the Messiah is their central and unifying topic. He is as a “thread” that runs through all of Holy Scripture, from the first sentence to the last. We have already mentioned the way in which Christ may be seen foreshadowed on the pages of the Old Testament. Always we seek for the point of convergence between the Old Testament and the New, and this we find in Jesus Christ. Orthodoxy assigns particular significance to the “typological” method of interpretation, whereby “types” of Christ, signs and symbols of His work, are discerned throughout the Old Testament. A notable example of this is Melchizedek, the priest-king of Salem, who offered bread and wine to Abraham (Genesis 14:18), and who is seen as a type of Christ not only by the Fathers but even in the New Testament itself (Hebrews 5:6; 7:l). Another instance is the way in which, as we have seen, the Old Passover foreshadows the New; Israel’s deliverance from Pharaoh at the Red Sea anticipates our deliverance from sin through the death and Resurrection of the Savior. This is the method of interpretation that we are to apply throughout the Bible. Why, for instance, in the second half of Lent are the Old Testament readings from Genesis dominated by the figure of Joseph? Why in Holy Week do we read from the book of Job? Because Joseph and Job are innocent sufferers, and as such they are types or foreshadowings of Jesus Christ, whose innocent suffering upon the Cross the Church is at the point of celebrating. It all ties up. It is the most ancient purple manuscript surviving today. 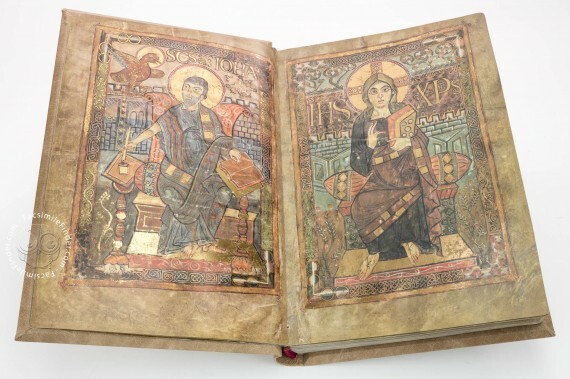 The fragment of the Genesis (from the Greek Septuagint translation) is compiled in golden and silver ink, on a beautifully purple-dyed calfskin vellum. 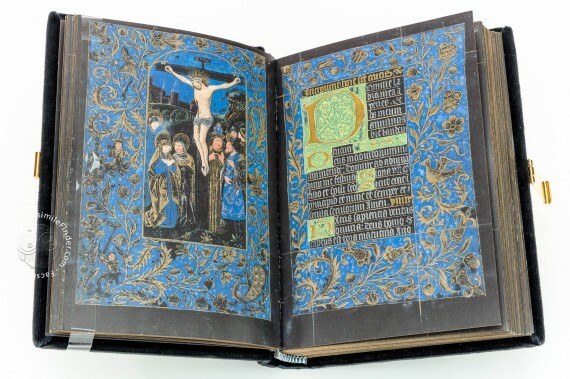 Each page contains a lavish miniature depicting the text, for a total of 48 well-preserved images. 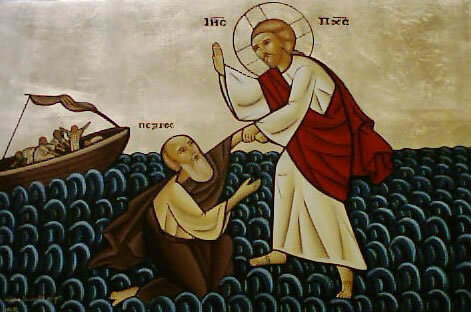 IN THE WORDS of an early ascetic writer in the Christian East, Saint Mark the Monk: “He who is humble in his thoughts and engaged in spiritual work, when he reads the Holy Scriptures, will apply everything to himself and not to his neighbor.” As Orthodox Christians we are to look everywhere in Scripture for a personal application. We are to ask not just “What does it mean?” but “What does it mean to me?” Scripture is a personal dialogue between the Savior and myself – Christ speaking to me, and me answering. That is the fourth criterion in our Bible reading. 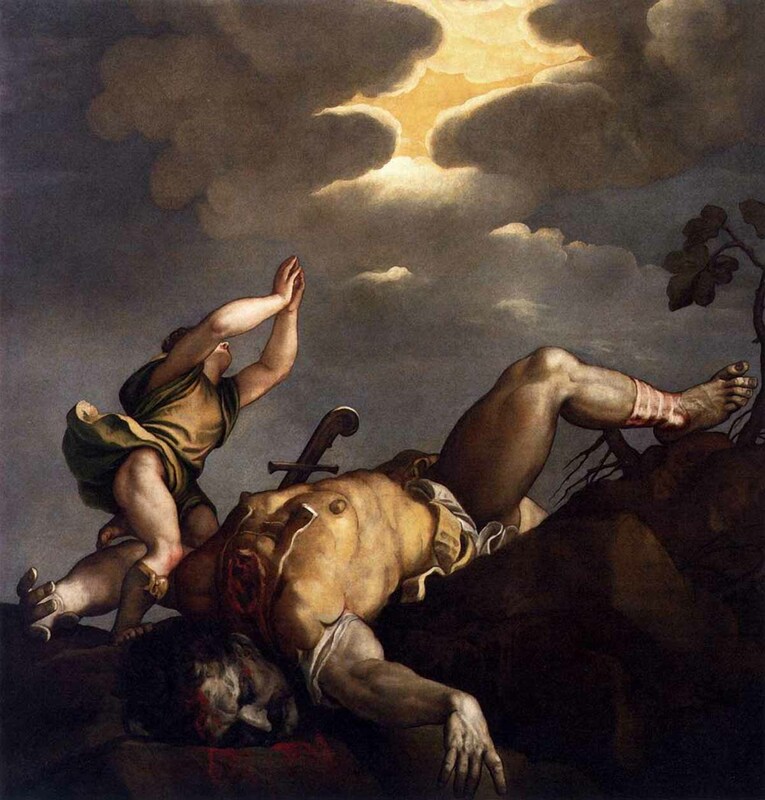 When, in the story of Cain and Abel, we read God’s words to Cain, “Where is Abel thy brother?” (Genesis 4:9), these words, too, are addressed to each of us. Who is Cain? It is myself. And God asks the Cain in each of us, “Where is thy brother?” The way to God lies through love of other people, and there is no other way. Disowning my brother, I replace the image of God with the mark of Cain, and deny my own vital humanity. In reading Scripture, we may take three steps. First, what we have in Scripture is sacred history: the history of the world from the Creation, the history of the chosen people, the history of God Incarnate in Palestine, and the “mighty works” after Pentecost. The Christianity that we find in the Bible is not an ideology, not a philosophical theory, but a historical faith. Then we are to take a second step. The history presented in the Bible is a personal history. We see God intervening at specific times and in specific places, as He enters into dialogue with individual persons. He addresses each one by name. We see set before us the specific calls issued by God to Abraham, Moses and David, to Rebekah and Ruth, to Isaiah and the prophets, and then to Mary and the Apostles. We see the selectivity of the divine action in history, not as a scandal but as a blessing. God’s love is universal in scope, but He chooses to become Incarnate in a particular comer of the earth, at a particular time and from a particular Mother. We are in this manner to savor all the uniqueness of God’s action as recorded in Scripture. The person who loves the Bible loves details of dating and geography. Orthodoxy has an intense devotion to the Holy Land, to the exact places where Christ lived and taught, died and rose again. An excellent way to enter more deeply into our Scripture reading is to undertake a pilgrimage to Jerusalem and Galilee. Walk where Christ walked. Go down to the Dead Sea, sit alone on the rocks, feel how Christ felt during the forty days of His temptation in the wilderness. Drink from the well where He spoke with the Samaritan woman. Go at night to the Garden of Gethsemane, sit in the dark under the ancient olives and look across the valley to the lights of the city. Experience to the full the reality of the historical setting, and take that experience back with you to your daily Scripture reading. Reading Scripture in this way – in obedience, as a member of the Church, finding Christ everywhere, seeing everything as a part of my own personal story – we shall sense something of the variety and depth to be found in the Bible. Yet always we shall feel that in our Biblical exploration we are only at the very beginning. We are like someone launching out in a tiny boat across a limitless ocean. Lectio. Read. God is speaking, so I listen intently to what he says. Meditatio. Engage. God is speaking to me, so I listen personally. Oratio. Pray. God is speaking to me, so I listen personally and reply personally in prayer. Contemplatio. Live. God is speaking to me, so I listen personally and reply in prayerful living. I have long been eager to get acquainted with nonwestern Christian art, especially artworks representing Christ and Bible themes by Asian artists. So, I got very excited when I discovered the Asian Christian Arts Association or the ACAA, established in Bali, where Christian artists and theologians from all over Asia meet, exchange ideas and inspire each other. 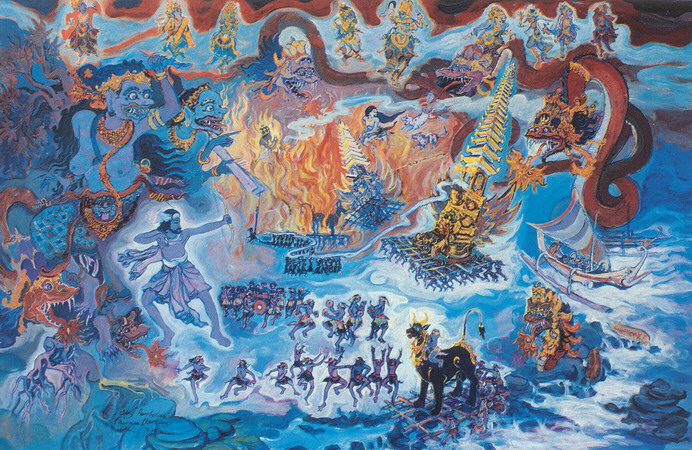 Nyoman Darsane, a fascinating Balinese artist who depicts Biblical characters as traditional Balinese dancers, employing various Balinese symbolisms in his images, was one of the first Asian ‘Christian’ artists to attract my attention. Then, I came across Victoria Jones’ post at The Jesus Question about him. Darsane is an incredibly talented painter who masterfully combines the joy of the Gospel with his Balinese culture, and Victoria’s post is thoroughly researched, offers excellent commentary and insights and does him justice! Katsushika Hokusai’s Under the Wave off Kanagawa, also called The Great Wave has became one of the most famous works of art in the world—and debatably the most iconic work of Japanese art. The Great Wave is part of the legendary series Thirty-six Views of Mount Fuji. (3) “The preeminence of The Great Wave —said to have inspired both Debussy’s La Mer and Rilke’s Der Berg—can be attributed, in addition to its sheer graphic beauty, to the compelling force of the contrast between the wave and the mountain. The turbulent wave seems to tower above the viewer, whereas the tiny stable pyramid of Mount Fuji—Japan’s sacred, national symbol of Beauty, Spirituality and Immortality–sits in the distance. The eternal mountain is envisioned in a single moment frozen in time. This Japanese painting brought to my mind an English Romanticist, William Turner’s famous seas, stormy skies, sinking ships and tempests studies, with a very different theme to Hokusai’s. The power of the storm versus man’s inabilities was a main theme in Turner’s work. Dreadful catastrophe was a common theme in English romantic art period and Turner specifically painted themes of shipwreck a number of times throughout his life, exploring the effects of an elemental vortex. The romantics had taken a liking to natural phenomena and shipwreck became a popular subject. 19th century Britain specifically was very familiar with shipwreck as it was a period of great English shipping. … The craftsmanship of these ships did not deter the fact that the man made vessel was still at the mercy of the wind. Let us have a good look at Turner’s most famous storm painting: The Snow Storm – Steam-Boat off a Harbour’s Mouth (1842), http://www.tate.org.uk/art/work/N00530 Snow Storm – Steam-Boat off a Harbour’s Mouth shows a ship off the English coast struggling to persevere through a storm. The steam-boat resides in the center of the vortex. Turner’s untamed brushwork creates a swirling composition of chaotic colors and lighting. The swirling storm creates a composition that leaves the eye to circle around the canvas repeatedly. The black of the wind and the waves of the sea create a circle around the doomed ship. Through the windy peephole, the viewer can see the helpless ship at the mercy of nature’s violent motion. One can imagine the ship swaying to and fro as its crew desperately tries to take control of the sail and stay afloat. In this context the vessel can be interpreted as a symbol of mankind’s futile efforts to combat the forces of nature. Yet, whether competent or helpless, I personally want to bring God in all these “storms”. 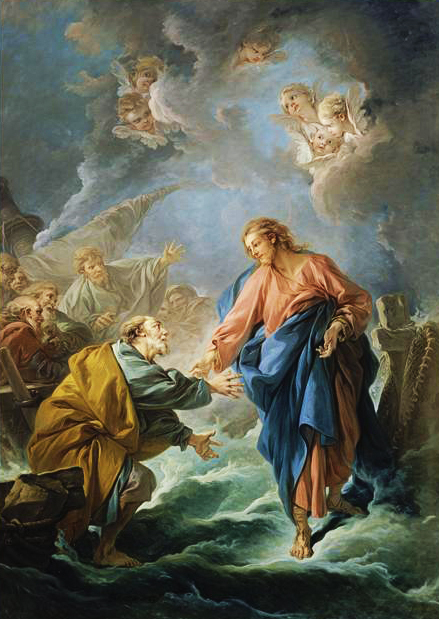 So that I can walk on the water, towards Him, and when I see “the wind boisterous, … [am] afraid; and beginning to sink”, I can cry “saying, Lord, save me.” And He immediately will stretch forth His hand, and catch me, and say unto me, ‘O thou of little faith, wherefore didst thou doubt?’ (Matthew 14:29-31, KJB) And He will still the storm–within and without my mind–to a whisper and hush the waves of the ‘sea’ (Psalm 107:29) and (Mark 4:39). Lebanese-American artist, poet (1883 – 1931), chiefly known in the English-speaking world for his 1923 book The Prophet, an early example of inspirational fiction, including a series of philosophical essays written in poetic English prose, and the third best-selling poet of all time, behind Shakespeare and Lao-Tzu or Lao-Tze.